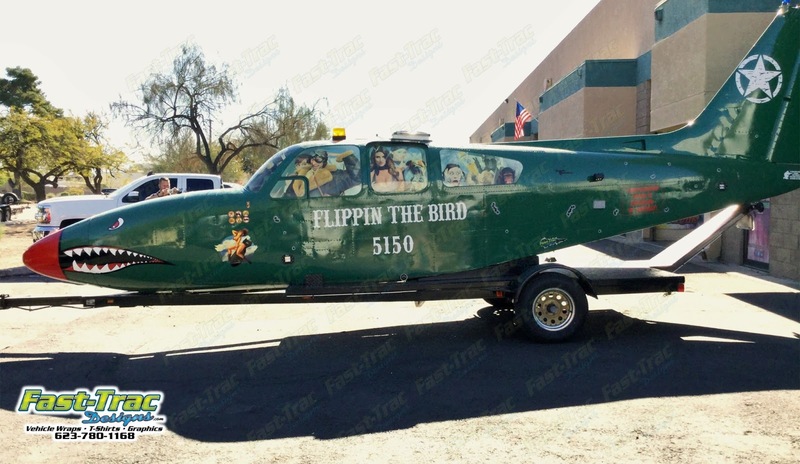 Occasionally we get some very unique vehicles at our shop in Phoenix, Arizona and the owner wants to have vinyl graphics created to make it even more one of a kind. This recently occurred when a client brought in an old airplane that he had converted into a camper. The wings have been removed and the inside adjusted to create a comfortable sleeping space however, it was not complete yet. 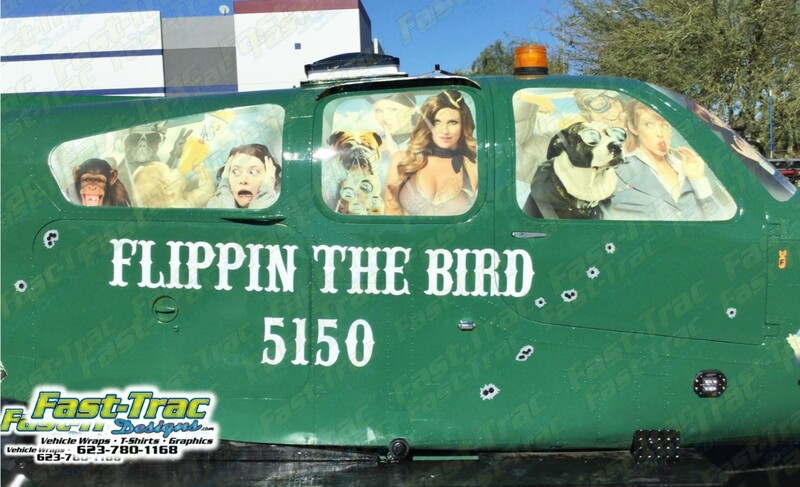 Our client wanted to add some fun to the camper by adding photos printed on 3M vinyl to the windows creating a look that maybe there was a party going on inside. He gave all creative freedom to our lead graphic designer to come up with something "wild" well, he did just that. 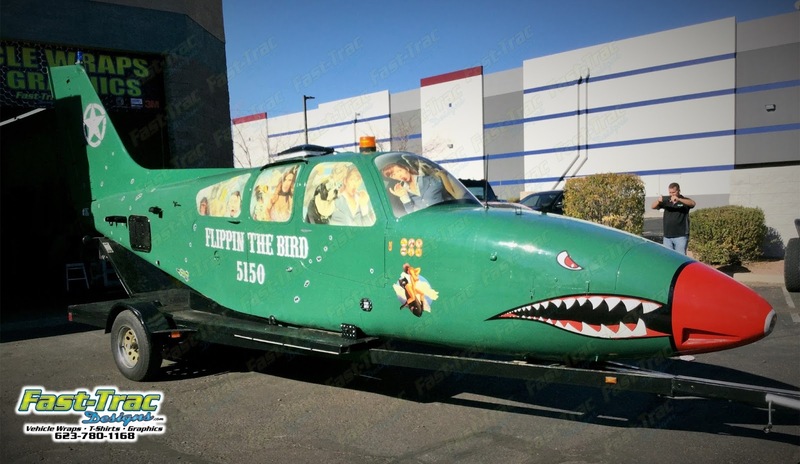 We applied window wraps to the plane with a very extraordinary printed design showing a crazy pilot, a dog with a 6-pack and a monkey in the back just to name a few. Our customer was thrilled with the layout and said "you nailed it!" to our designer, whom created the appearance of chaos in the plane windows. There is a lot to look at if you happen to pass this on the road or at a camp site. It will make you laugh or at least say "that's crazy."